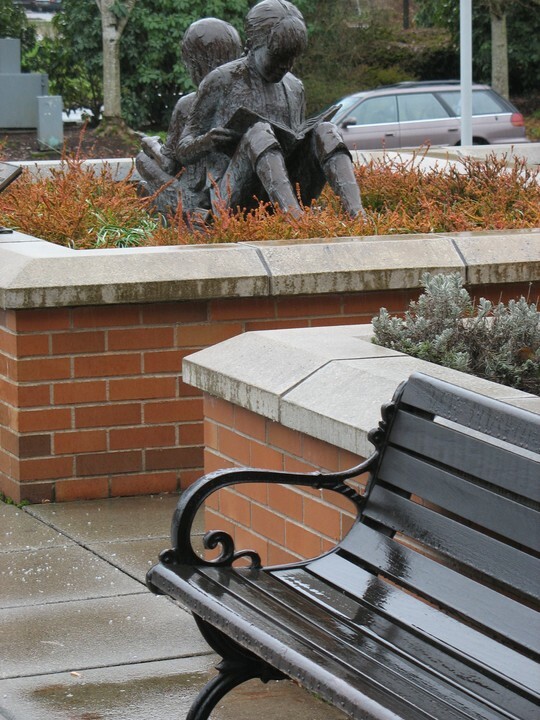 Jim's family dedicated one of the benches in front of the Corvallis Public Library on Monroe to Jim's memory. The bench is in the lower right of the picture. 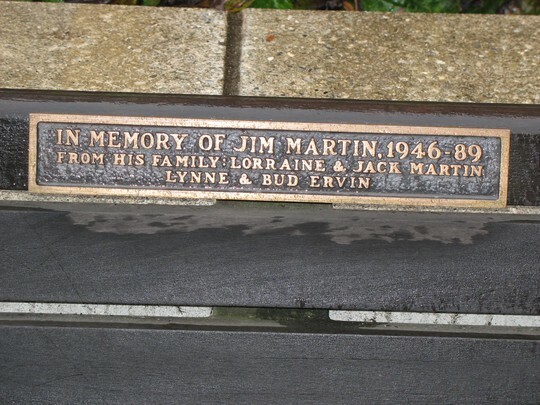 Here's the inscription on the back of the bench.